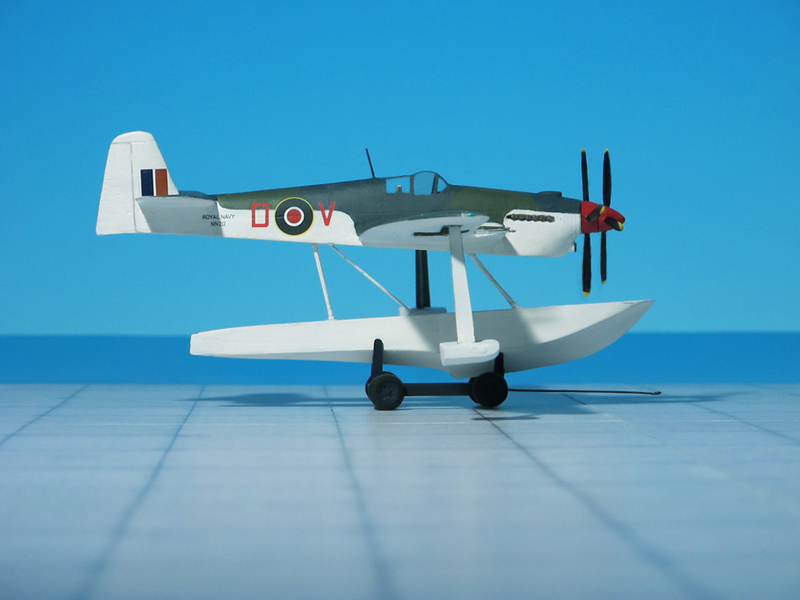 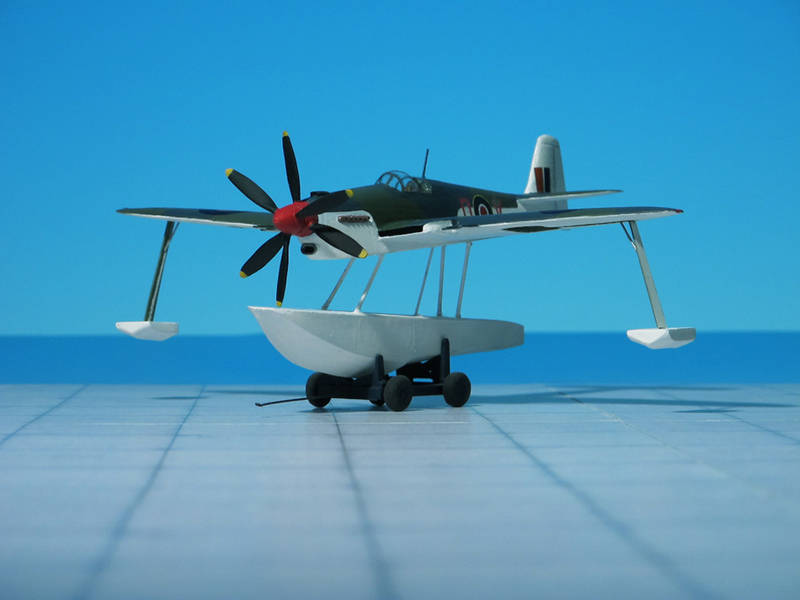 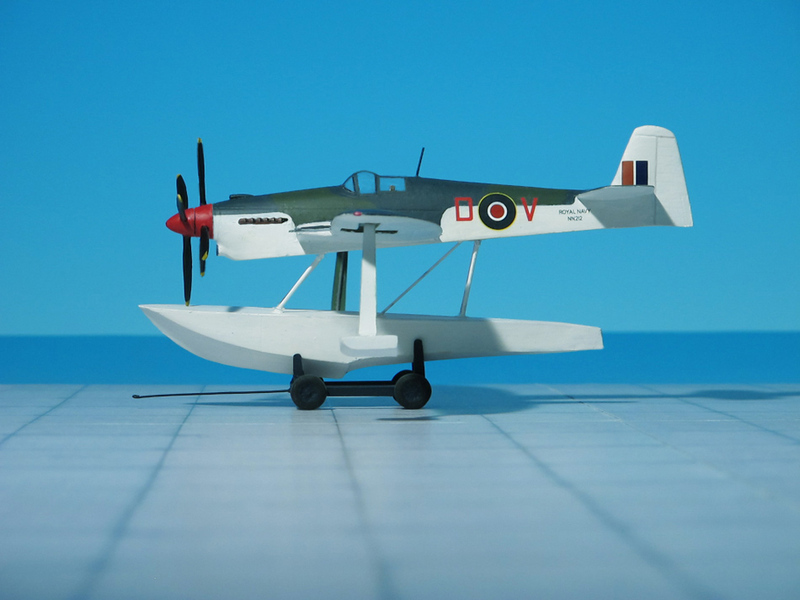 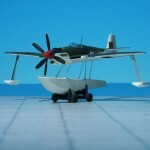 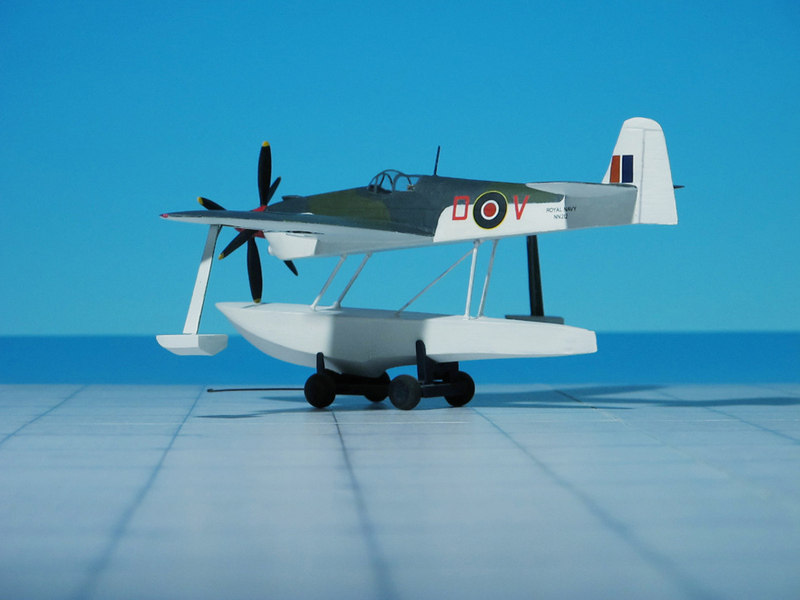 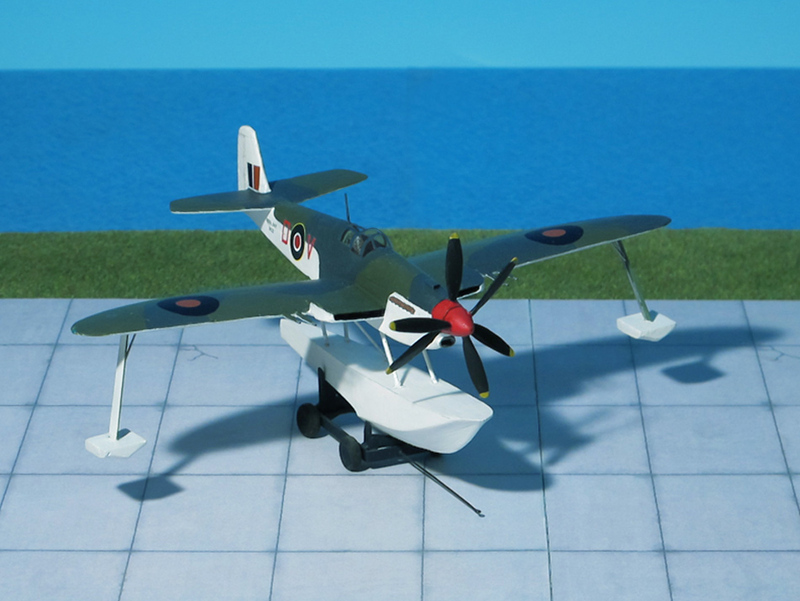 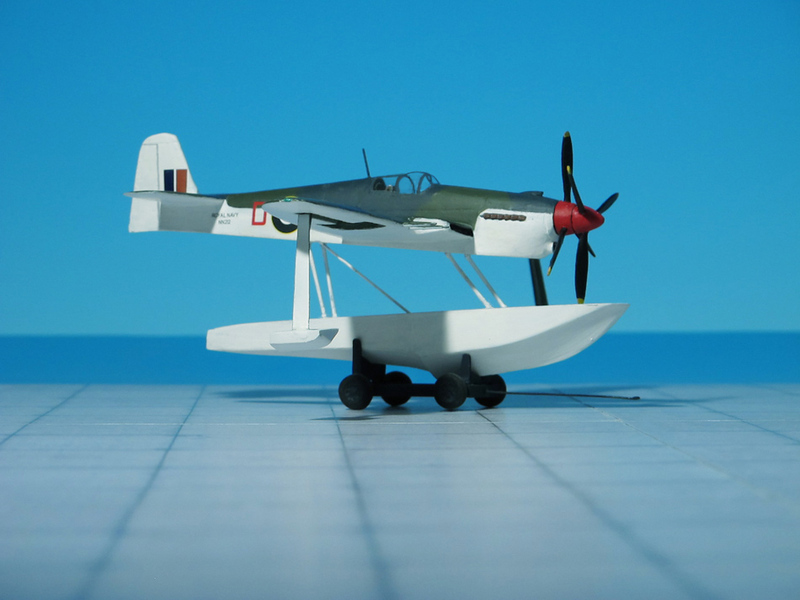 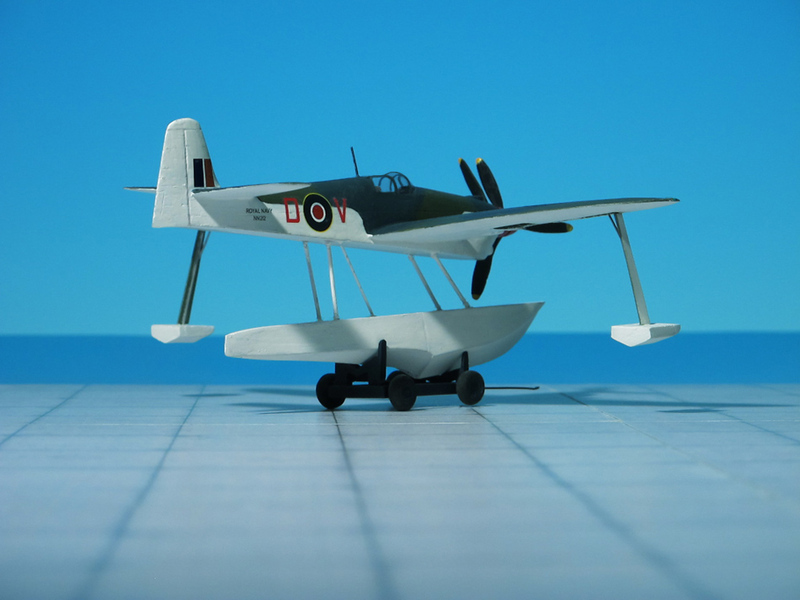 COMMENT: In autumn 1944 the Fairey Corporation was asked to assess the feasibility of adapting its original tandem, twin engine research studies to a new naval strike platform as a replacement of the troublesome Fairey “Spearfish”. 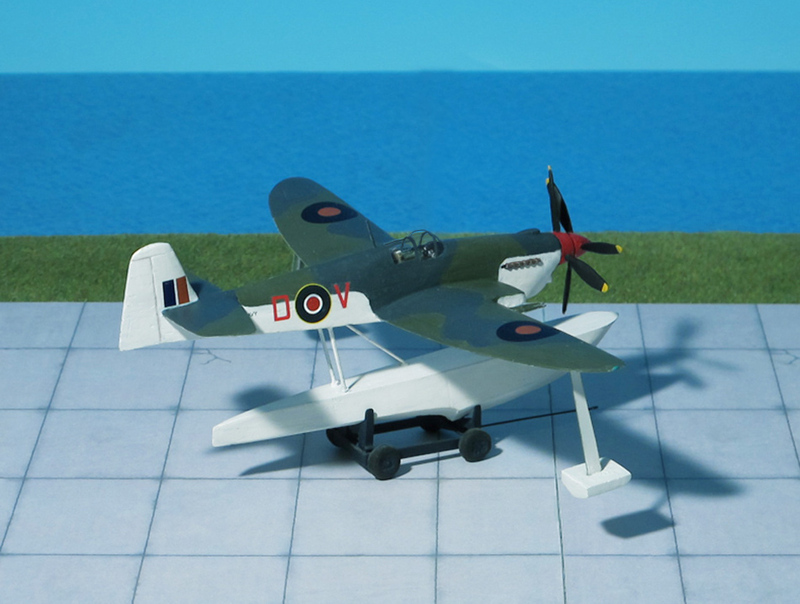 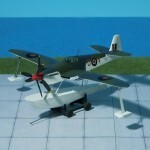 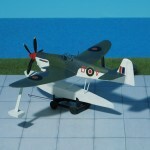 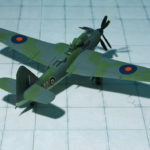 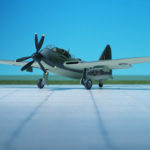 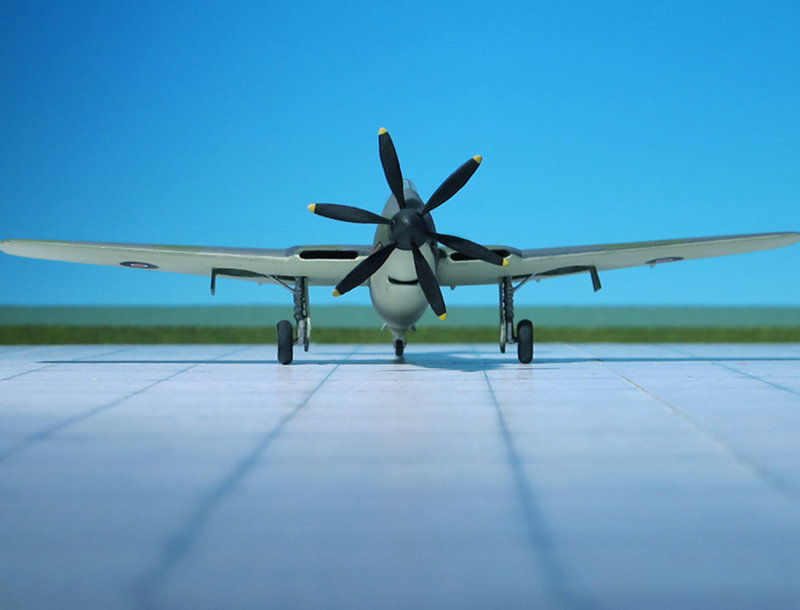 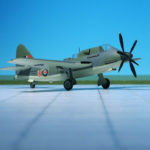 The new aircraft was planned for use aboard the new 46,000 t “Malta”-class aircraft carriers then under development and as power units two tandem-coupled engines were proposed: The Rolls-Royce “Tandem Merlin” (Project A) or alternatively the Rolls-Royce “Twin Griffon” (Project B). 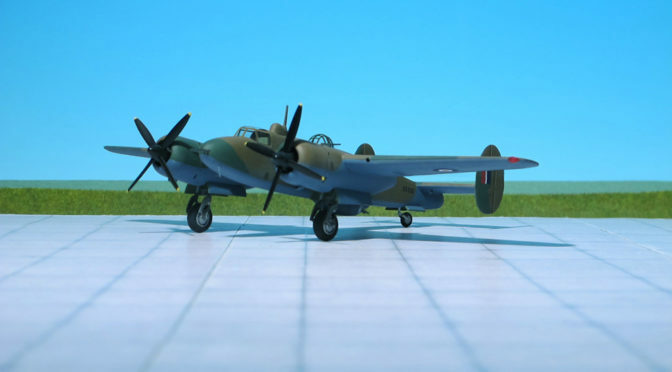 Either design was intended to be a single-seat aircraft, although there was the possibility for adding a rear compartment for a navigator. 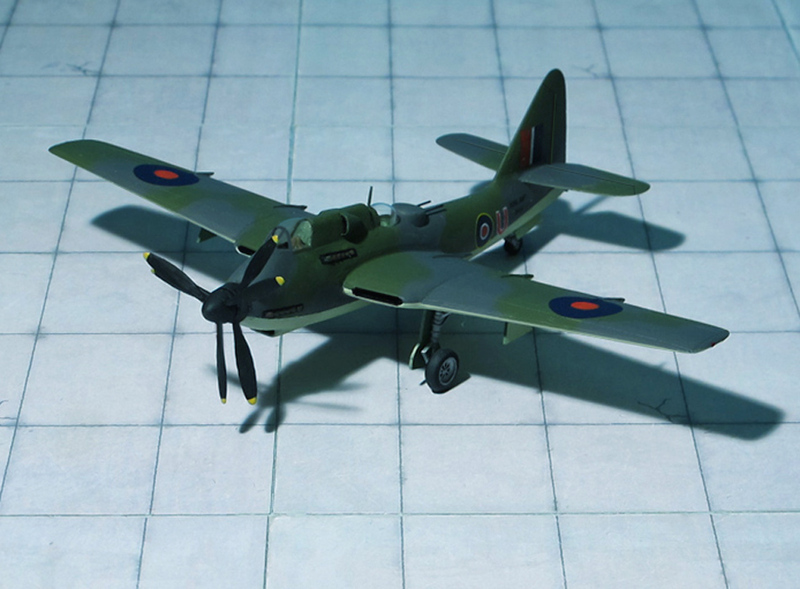 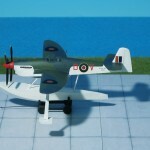 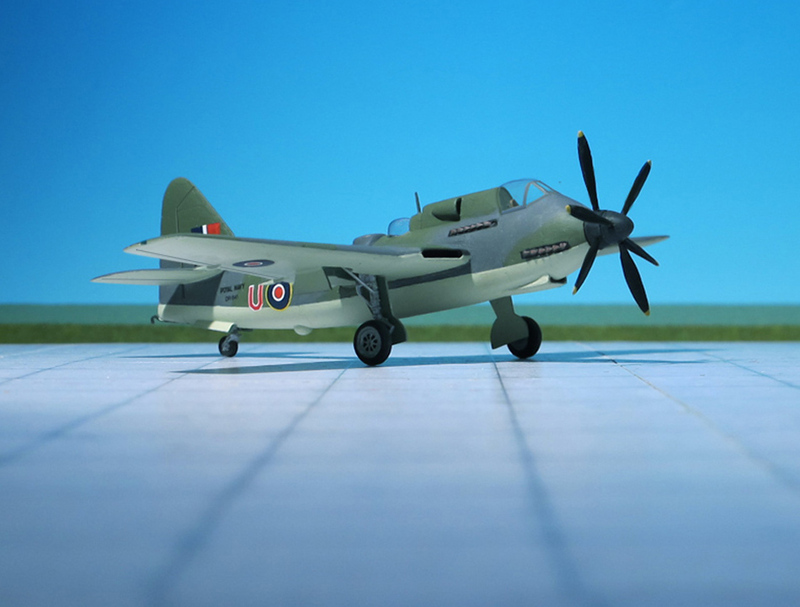 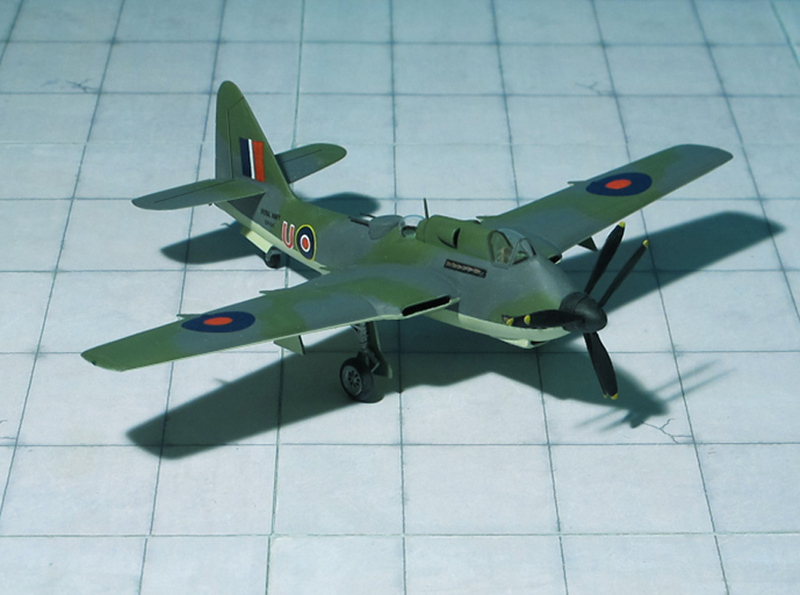 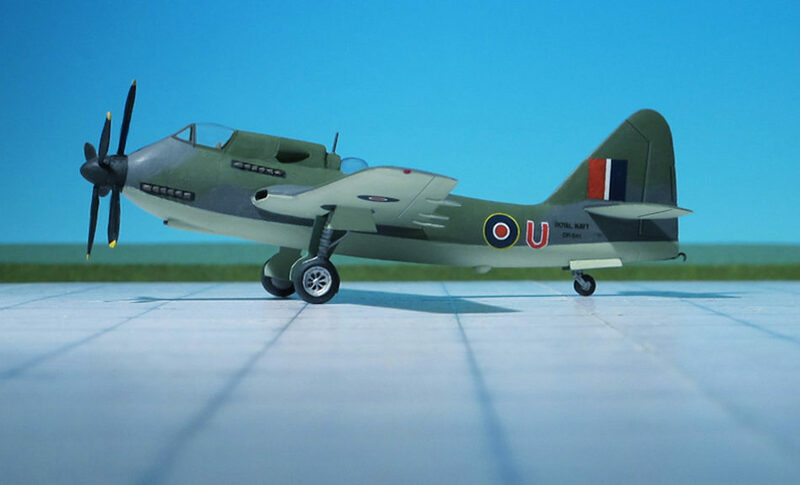 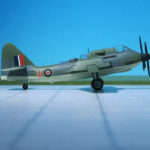 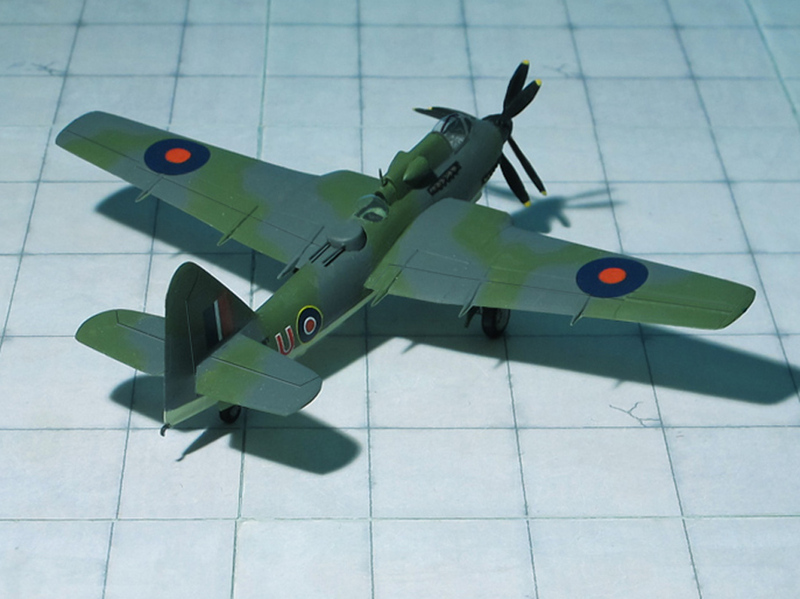 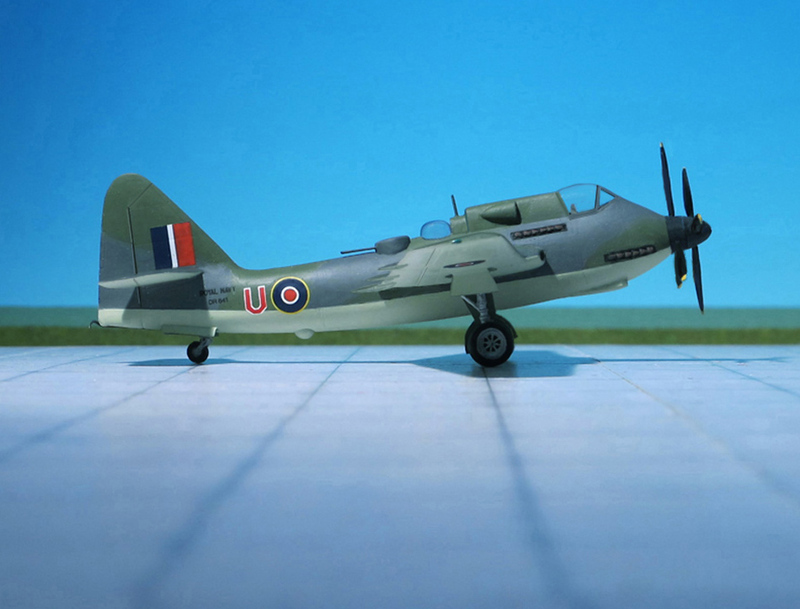 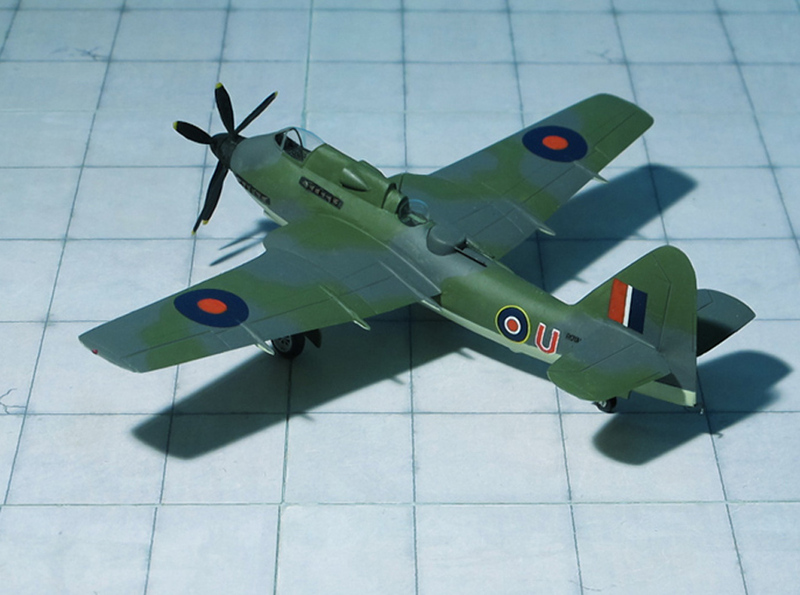 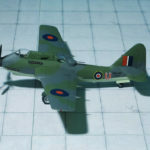 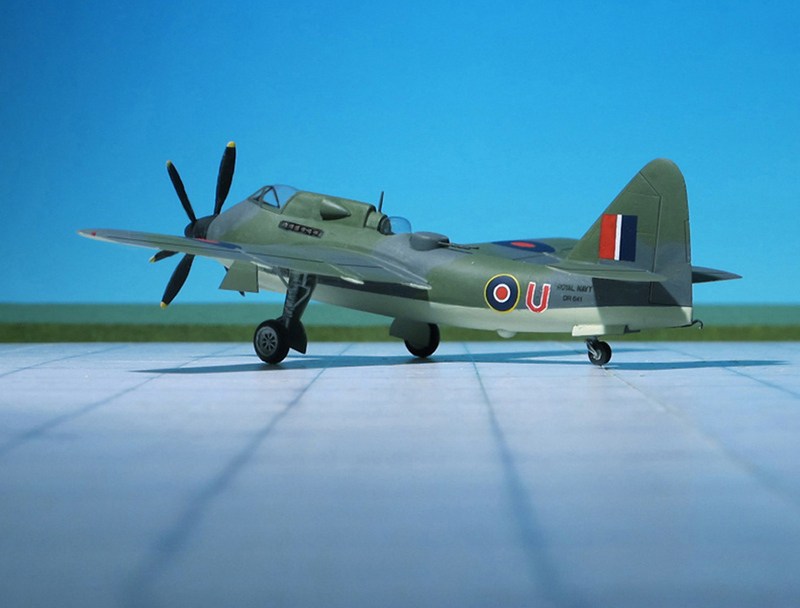 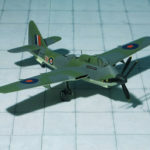 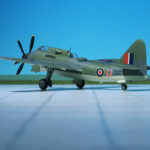 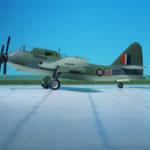 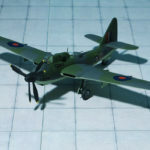 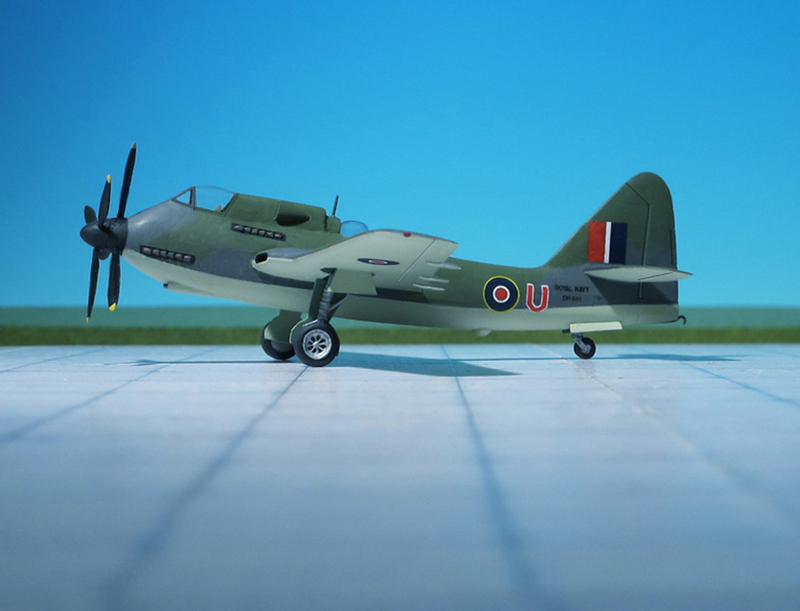 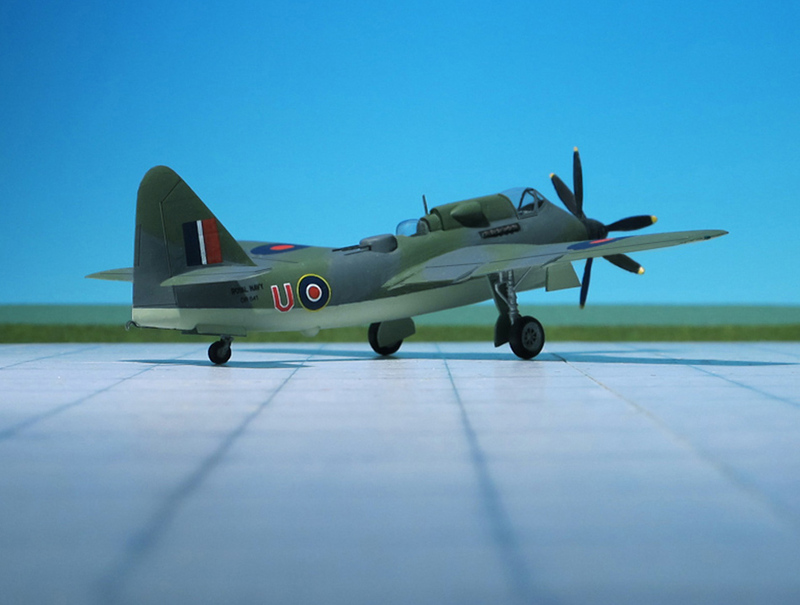 During March 1945, Fairey redesigned the “Project A’s” overall specifications. 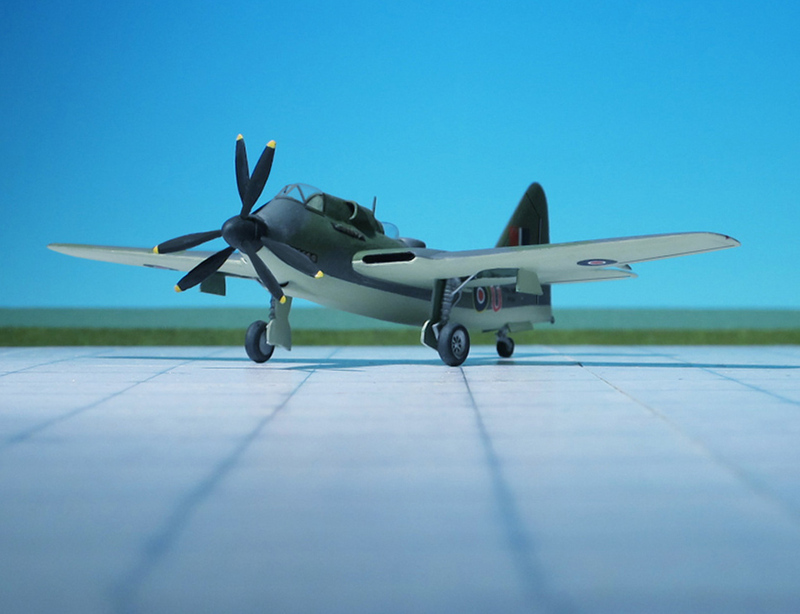 The plane would still employ the Rolls-Royce “Merlin” twin-coupled power plant, but the new version was streamlined and compacted. 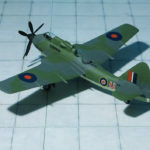 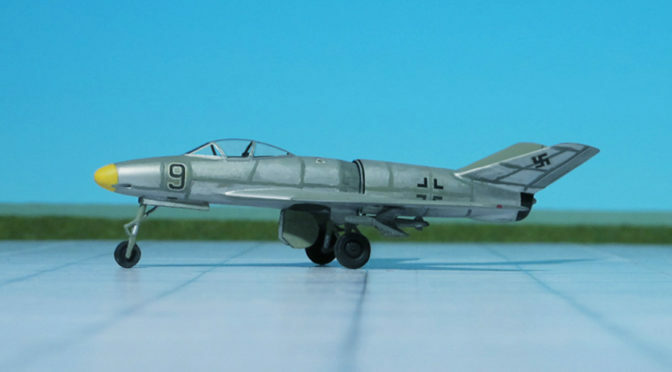 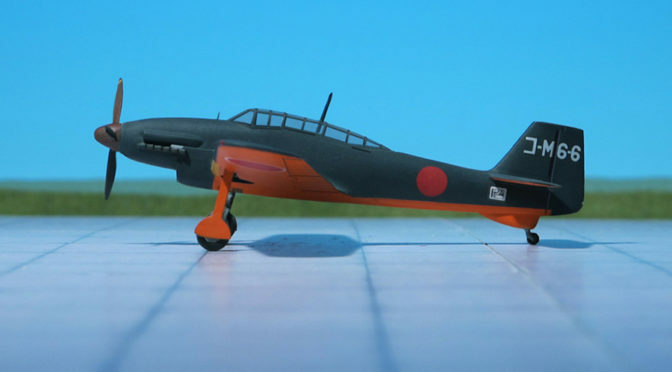 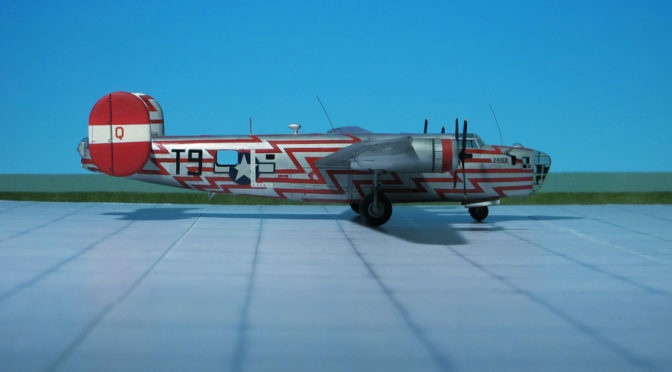 The aircraft was a cantilever, mid-wing monoplane, with an all-metal, monocoque fuselage, the centre wing section was built integral with the fuselage and the outer wing panels could be hydraulically folded for carrier operations. 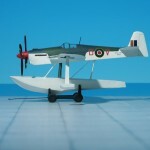 It had an internal weapons bay to hold a torpedo, retractable ASV Mk. 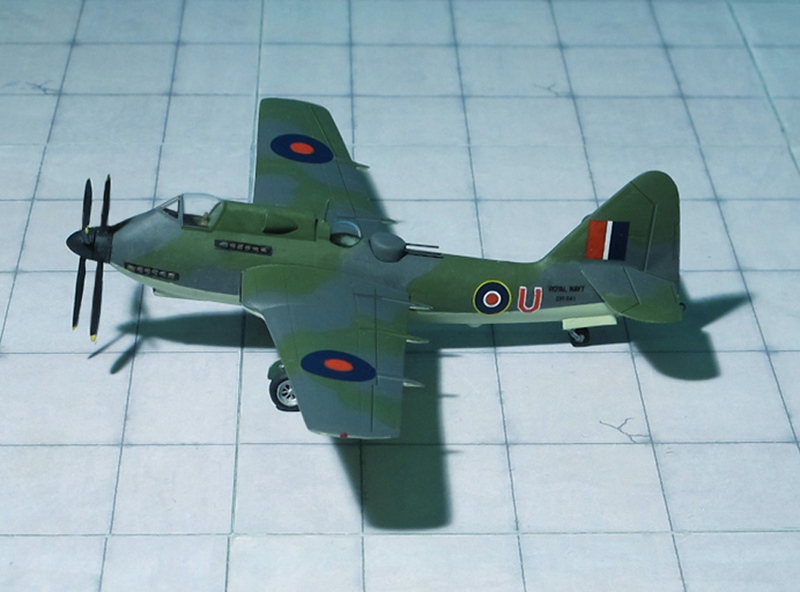 XV surface search radar mounted behind the bomb bay, contra-rotating propellers, and a stronger outward retracting conventional landing gear with a tailwheel. 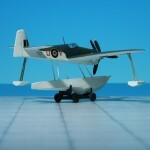 The cockpit was positioned high above the engine and offered an excellent view for the pilot, the navigators position was behind the cockpit in a separate copula operating a remote-controlled Frazer-Nash FN 95 barbette holding two 12,7 mm M2 Browning machine guns. 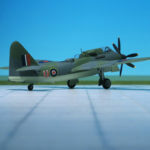 With the end of WW II and the upcoming turbojet- and turboprop-engines as well as the cancellation of all orders for new “Malta”-class aircraft carriers the Fairey design was abandoned. 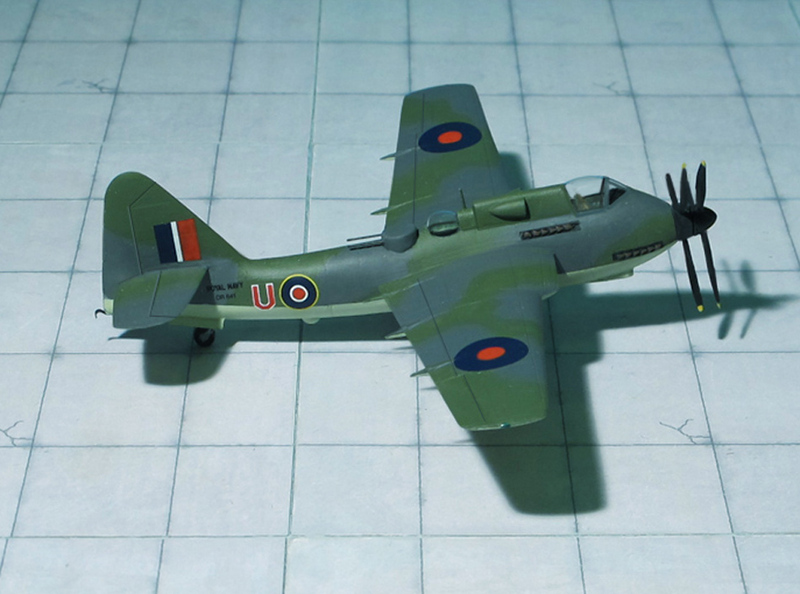 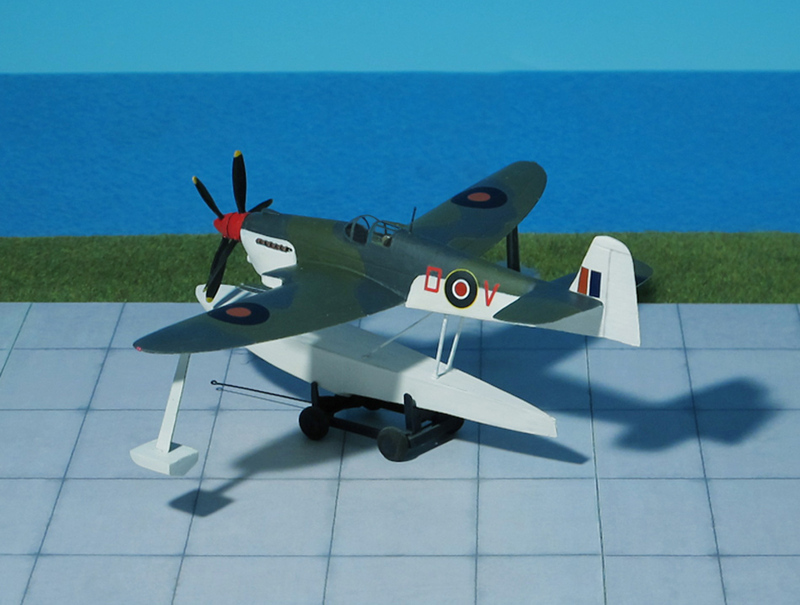 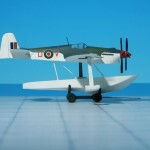 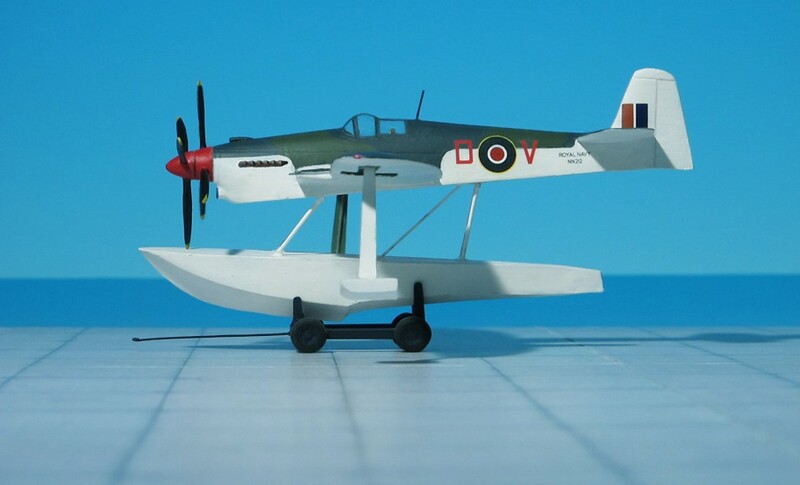 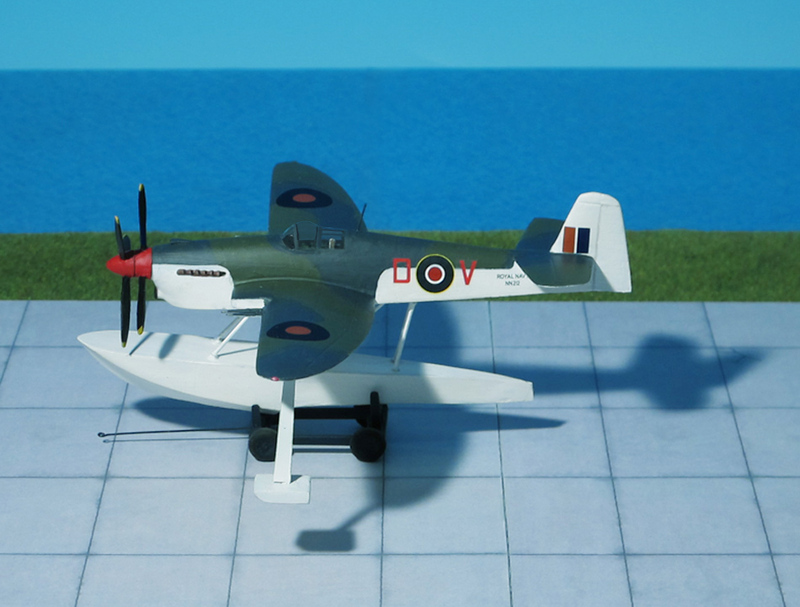 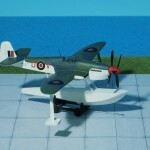 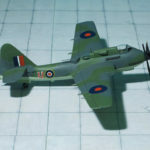 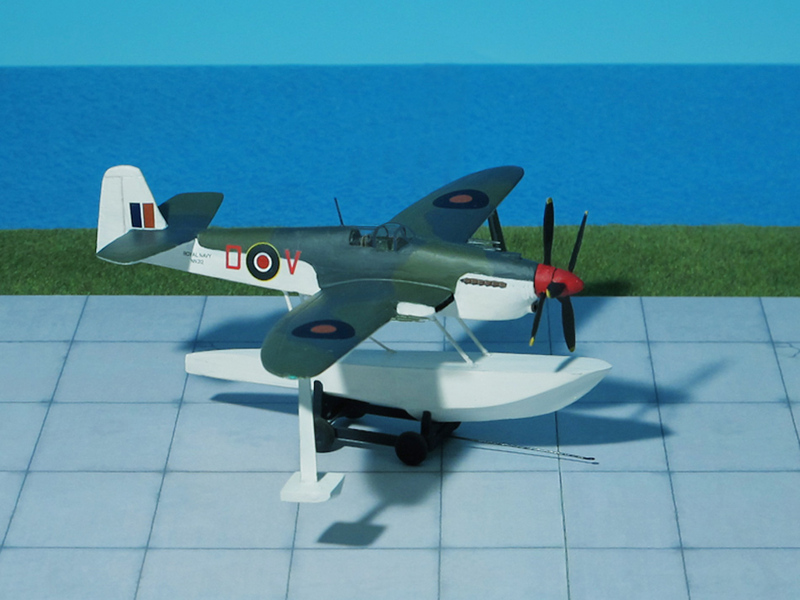 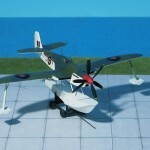 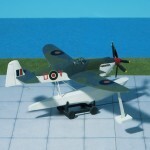 Nevertheless, in the post-war period this design influenced the development of the successful carrier-born anti-submarine aircraft Fairey “Gannet” (Ref. 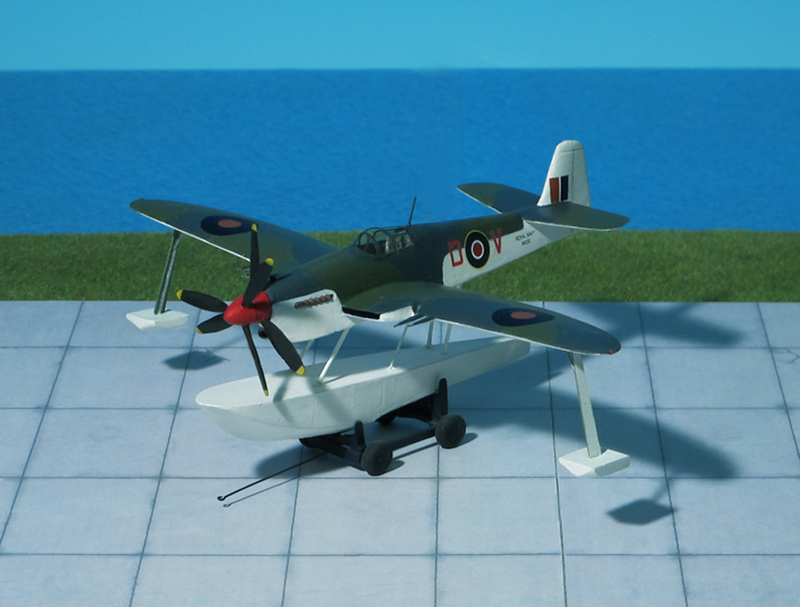 : Unicraft, 24).